^^Hat: Rag & Bone // Cardi: B.P. Happy Monday everyone, I hope you all had a great weekend! Unfortunately, Isla and I came down with something over the weekend so we laid low and slept A TON! Somehow Drew managed to not get sick (not sure how that happened). I’m hoping this passes quickly because it has taken it out of both me and my Isla Rose. I hate seeing her sick, it’s the saddest thing and I feel so helpless. I’m sure all you mama’s know the feeling. Also I wanted to let you all know that three new arrivals hit rachelparcell.com yesterday! Gorgeous sale picks! I absolutely love the olive shade of those Joie pumps plus you can never have too many pairs of booties! 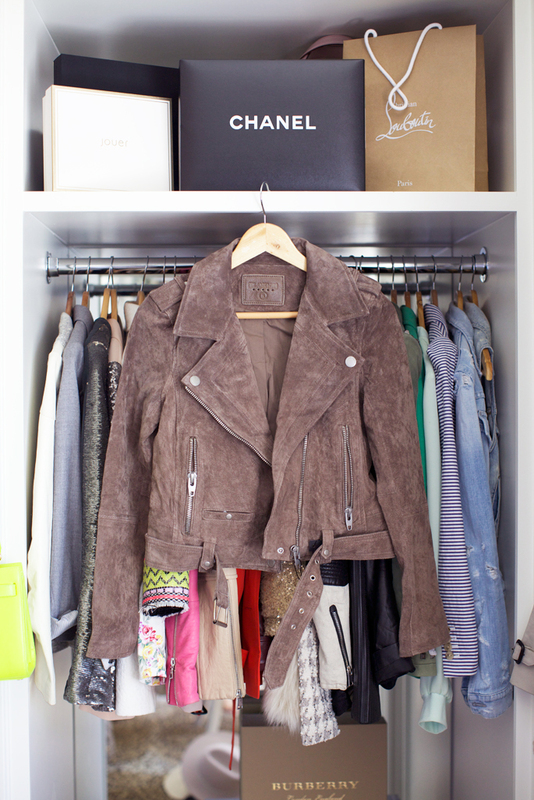 That chocolate suede jacket though is seriously divine! You got some beautiful things in the sale, I especially love that first blouse. That DVF dress and those beige booties are on my wish list. Those booties look so comfy and great for lots of walking. The suede leather jacket is my favourite! 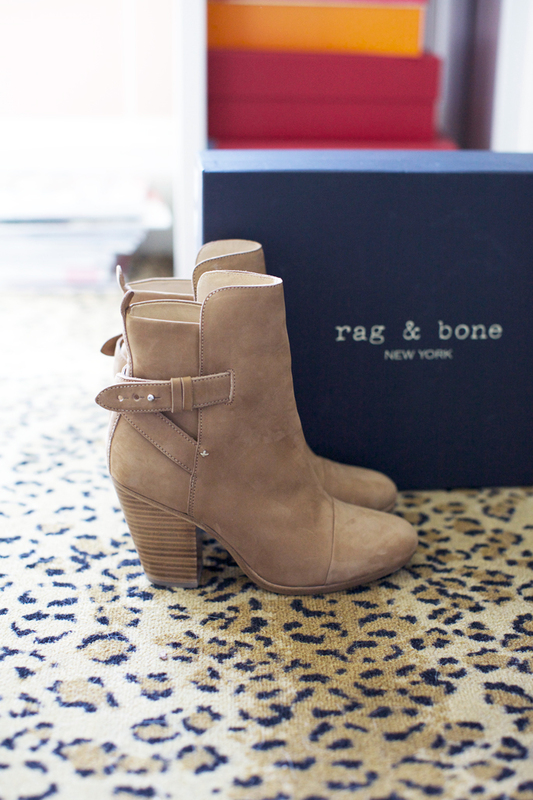 I love those Rag & Bone booties! OBSESSED with these picks! The B.P. cardigan and Rag & Bone booties are my favorite! Perfect for fall! Loved this roundup! 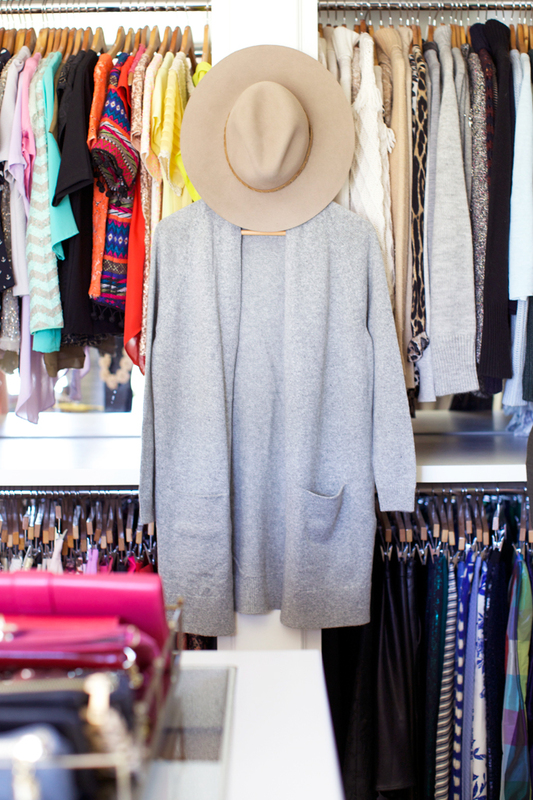 And love that we get a sneak peak into your closet! It is so beautiful! Love the color on that Tory Burch bag! Looks like you got some really great pieces! Love the DVF dress! I got that suede jacket in that color and the burgundy and can’t decide which one to keep! Love your purchases! I been wanting to get the BP cardi and Blank NYC moto jacket, but they sold out the minute I refreshed my cart! Hoping it will re-stock soon! Tons of great pieces, esp. that cardigan and suede jacket! 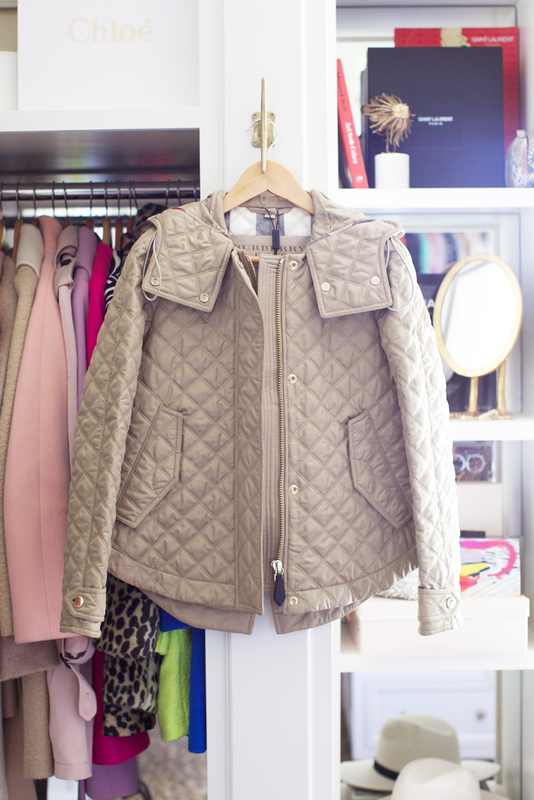 I love the burberry jacket! great buys! hope u get well soon! Thank you for the well wishes! The cardi is a great choice! Nice buys, Rach! I’m loving those jackets. I absolutely LOVE your Nsale finds! We’ll be twinning in the cardigan + PJs ;) so so cute!! Feel better! Ever since I saw your in the DVF dress, I keep thinking I need it in my closet! Love the look, especially for work! Love these picks! I seriously start drooling over your shoes! Love, love, love! 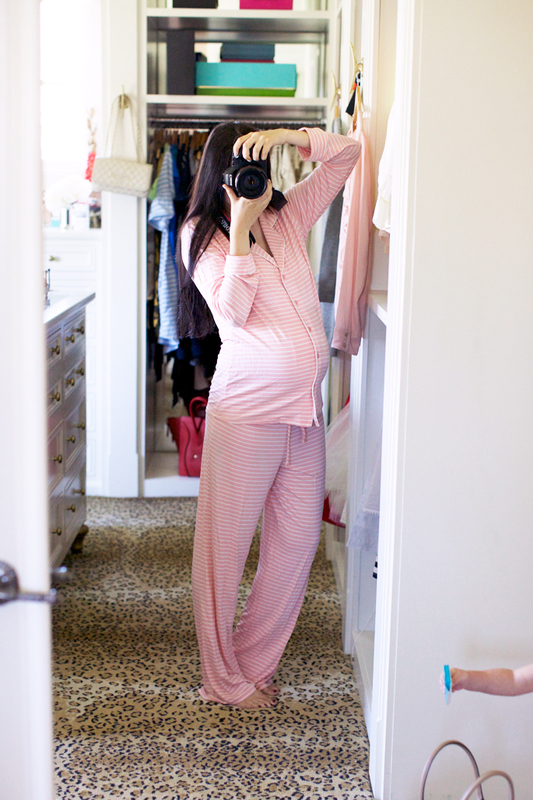 You look adorable in those Pjs. You have such great finds!! 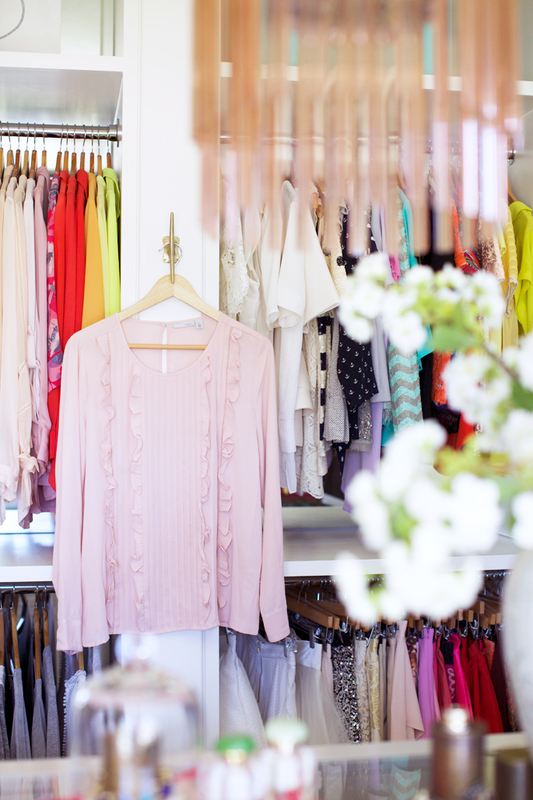 And your closet is seriously a dream! I love it! Hope you and Isla are feeling better!! Thank you Bryn! Love the photo of you in the sunflower fields! Gorgeous! love the gray cardi and rag and bone booties! Such a GOOD sale this year! Love your beauty pics and the moto jacket! I love the Halogen blouse!! Love your picks I really wish that suede jacket wasn’t sold out :( Hope you and Isla feel better! Is that Isla’s little hand photo bombing your pj pic? So cute if it is! You have scored great items. I regret didn’t some of the items listed above. They just look better in your closet. I love each one of your picks, especially that DVF dress! I completely know what you mean about when the little ones get sick – you feel so helpless :(. When you get rid of clothes, do you donate them or sell them? I usually trade them around with my sisters! You got a lot of awesome pieces! Oh no! I hope you and Isla feel better ASAP! My fiance is the same, he usually avoids getting sick when I have something and I have NO clue how that happens lol. Gorgeous picks from the Nsale!! Those Rag & Bone boots are such a good pick! They’re ADORABLE!! Love the suede jacket and Rag & Bone booties! Thanks for sharing your picks! Hi rachel, so first of all i wanted to tell you that you’re an amazing blogger and i love your style!!! so there is something i’d like to thank you for. i’m 20 years old and i’m religious jewish. in our religion we have some certain rules of clothing style, we have to wear skirts and the shirts has to cover the elbow, we must not wear something to open. it was really hard for me to find a nice and fashioned style that didn’t band all these rules till i discovered your blog and instagram page, finally i found a perfect person that has exactly my kind of style with all the rulls i need in my clothes. so thank you so much you’re my every day stylist! !